Kuhex has partnered with McAfee to become a trusted security advisor to small and medium-sized businesses. McAfee is relentlessly focused on constantly finding new ways to keep our customers safe. Whether you own a bakery, bicycle shop, law firm or bistro, cyber-criminals are targeting growing businesses like yours. They’re zeroing in, believing your business is an easier target because you can’t afford, or manage, sophisticated security. Unfortunately for them, McAfee’s got you covered. 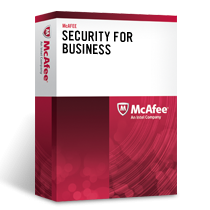 McAfee Security for Business is an Affordable, Easy-to-use security solution, which protects your data, web, email and privacy. Protect your bottom line and your business. Keep your confidential data and customer’s privacy safe with McAfee Security for Business. This all-in-one solution protects employees and endpoint devices from threats that target confidential data, critical email and web vulnerabilities. Stop worrying about security, and focus on growing your business. There’s no hardware to buy or servers to install, saving you time and money. Comprehensive protection for you desktops, laptops, file servers, and email. Get automatic updates and upgrades for maximum protection with minimal work. Color-coded website ratings alert you to potentially malicious sites.